GreenStreet has been selected as the site of MassChallenge. 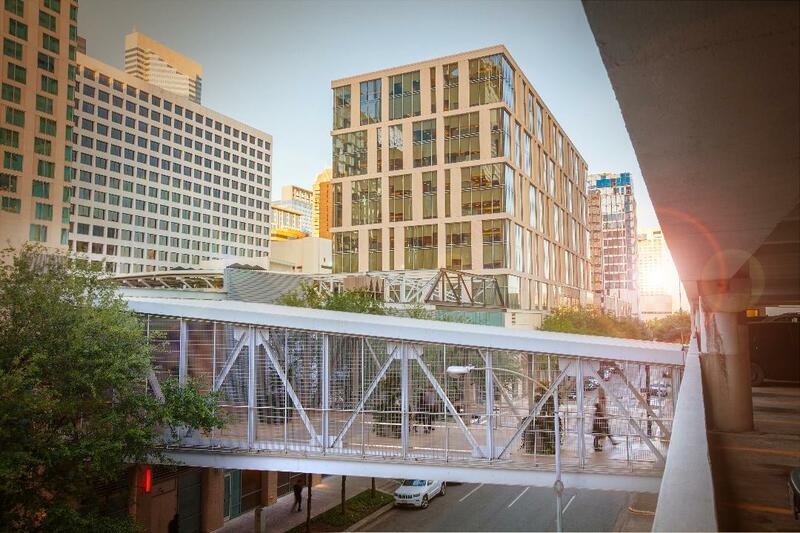 HOUSTON — (Realty News Report) – MassChallenge, a startup accelerator that will nurture and launch inventors and entrepreneurial ventures, is opening a facility in GreenStreet, a mixed-used property in downtown Houston. 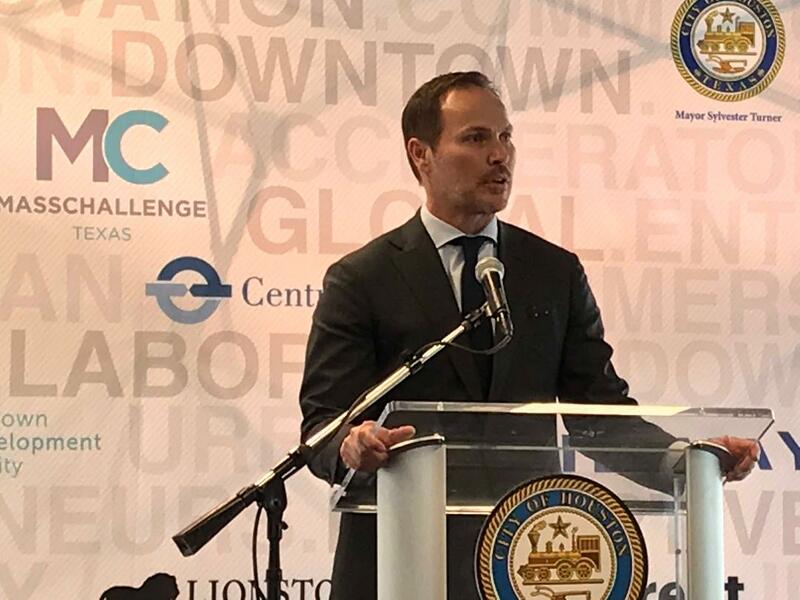 The MassChallenge location at GreenStreet will represent the northern point of Houston’s new Innovation Corridor, a four-mile stretch of Houston from downtown to the Texas Medical Center. MassChallenge, which opened in Austin last year, also has locations in Israel, Mexico, the United Kingdom and Switzerland, has led to the creation of thousands of jobs. 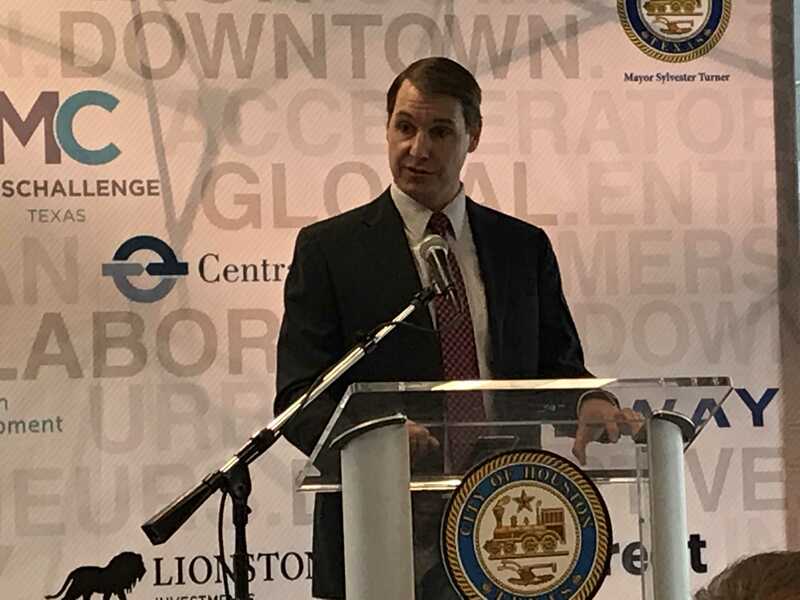 The organizations entry into Houston was announced at a press conference Wednesday at GreenStreet. Midway CEO Jonathan Brinsden speaks at a press conference Wednesday. Photo Credit: Ralph Bivins, Realty News Report. MassChallenge, based in Boston, is an organization that screens and selects innovators and scientists that will work at the MassChallenge space in Houston to develop and advance their innovations, working with mentors and startup experts for many weeks. When the winning innovators are selected they typically attract venture capitalists ready to finance the startup, said John Harthorne, CEO of MassChallenge. John Harthorne speaks in Houston Wednesday. The chosen participants are given office space, training, mentoring, lab space and other assistance for several months, until the most promising concepts are selected. To date, 1,900 MassChallenge alumni have raised more than $4 billion in funding, generated more than $2 billion in revenue, and created over 120,000 total jobs. The amount of the grant is not to exceed $2,500,000 to be paid over a five-year period. Another project in the Innovation Corridor is the old Sears building on Main Street in Midtown. The Rice Management Company, which manages the Rice University endowment, is spearheading the project. The Sears innovation project is named Ion. 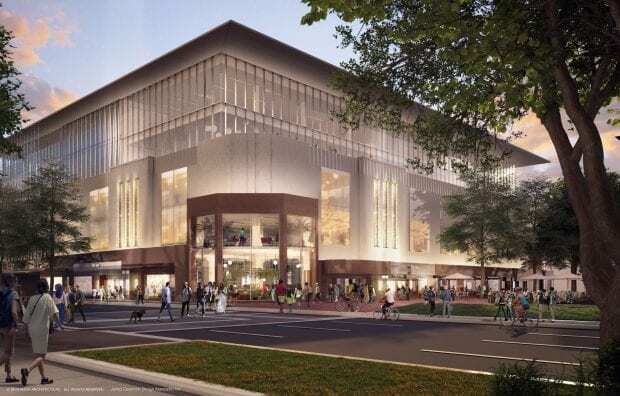 Rendering of the renovated Sears building Midtown. The Ion, a 270,000-square foot structure designed to bring the area’s entrepreneurial, corporate and academic communities together into collaborative spaces and programs.